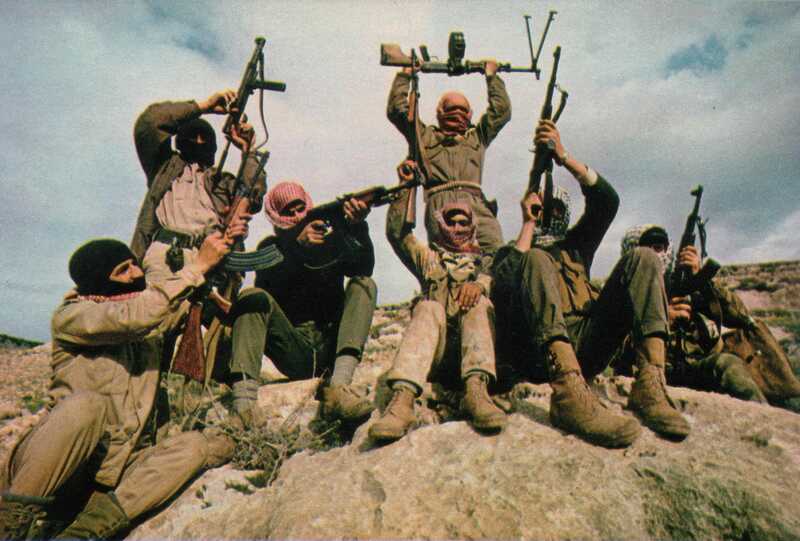 Wikimedia CommonsPFLP fighters in Jordan in 1969. Tuesday’s attack in Jerusalem was the deadliest terrorist incident in the city since 2008, escalating tensions in one of the Israeli-Palestinian conflict’s central frontlines. But the attack — in which four worshippers were hacked apart with axes and knives while praying in a synagogue in the Har Nof neighbourhood of West Jerusalem — was not the work of Hamas, Fatah, or Islamic Jihad (the three highest-profile and best-armed Palestinian factions). Instead, it was the Popular Front for the Liberation of Palestine that took credit for the massacre. The PFLP was one of the more notorious radical left-wing militant organisations of the 1970s and is among the most influential terrorist groups in history. The group was largely responsible for developing airline hijacking as a method of political terrorism. It was a transnational organisation that carried out attacks throughout the Middle East and Europe, and it enlisted foreign volunteers for some of its most high-profile operations. The organisation lost ground in recent decades thanks to the emergence of the Islamist group Hamas in the late 1980s and the empowerment of Fatah as a result of the peace process. (The end of the Cold War and the resulting loss in status for militant Marxism might have had something to do with it as well.) But the PFLP still carried out a few of the most spectacular terrorist attacks of the 1970s. In September 1970, PFLP operatives (including one Nicaraguan) hijacked three commercial planes to a remote airstrip in Jordan’s western desert and blew them up in front of the international media. No passengers were killed in the incident — although it was one trigger for the internal crackdown that resulted in Jordan’s “Black September” war. YouTubeThe denouement of the Dawson’s Field hijacking saga on Sept. 12, 1970. In 1972, the PFLP partnered with a Japanese leftist faction for an attack in which 28 people were killed at Israel’s Lod Airport. The PFLP alsoperpetrated deadly attacksat airports in Munich, Brussels, and Greece throughout the 1970s. The PFLP was founded as an international revolutionary Marxist organisation. But its recent activities have divested the group of anything but a rhetorical connection to far-left-wing ideology. The group claimed responsibility for three suicide bombings in the early 2000s, a tactic with religious rather than left-wing ideological trappings. The PFLP is a strong backer of the right-wing Arab nationalist Ba’athist Assad regime in Syria. And the PFLP leadership in Syria was at least implicated in the 2005 assassination of former Lebanese prime minister Rafik Hariri — an attack most likely carried out by Hezbollah, a group promoting Iranian-style Shi’ite Muslim clerical rule. Regardless of whether the “pathology” of being a leftist outsider in the Palestinian militant ecosystem has been cured, the group has proved capable of carrying out an act of violence with the potential to scramble an already explosive situation in the Middle East. It has gone from being on the radical, pioneering edge of Marxist terrorism several decades ago to believing in little more than preserving itself and upping the body count. And it has vaulted back to into relevance as a result.